The best gifts in life don't have to cost a lot. And often, they're not what you think. Here are 5 amazing gifts you can (and should) be giving all year round. Michele Lian, Self-care advocate. I show the stressed and anxious how to get healthier, leaner and calmer with more ease and less overwhelm. It’s that time of year again: The season of giving, or so the world of retail wants us to believe. Make no mistake―gift-giving is in itself, a beautiful thing. It’s meant to show someone how much we appreciate and care for them. Outside the holidays, it can also be an expression of love, respect, empathy or joy, and the acknowledgement of a person’s season in life. How is it possible, then that about 56% of Americans have admitted to receiving a gift that they didn’t like during the holidays? Just in case you were wondering, the biggest sources of this gift ‘dissatisfaction’ came from clothing and accessories at 34%, followed by household items at 18%, and cosmetics at 14%. So….are we getting the art of gift-giving all wrong? Or are we just blindly (and randomly, it seems) showering the people in our lives with ‘stuff’ that they don’t want, like or need, just cos’…you know, it’s the thought that counts? But if that’s the case, why not make those precious ‘thoughts’ the gift instead of diminishing them with unwanted items that are likely to be met with fake (and very awkward) enthusiasm, kept but never used, recycled or worse, thrown away? If you’re secretly sick of blowing your hard-earned cash on obligatory gifts, and wish showing your love and appreciation could be simpler, you’re not alone: 52% of the American adults surveyed said that what they looked forward to the most during this time of year was spending time with family. Coming in at a close second was soaking in the festive atmosphere, followed by taking time off work, and digging into the holiday food. Receiving presents in contrast, dragged behind, taking up a mere 5% of the votes. As someone who’s indulged in my fair share of mindless consumption and given much of it away as gifts, I’ve been deliberately scaling back on the ‘stuff’ lately, and am starting to figure out how I can make the important people in my life feel significant without the excess. 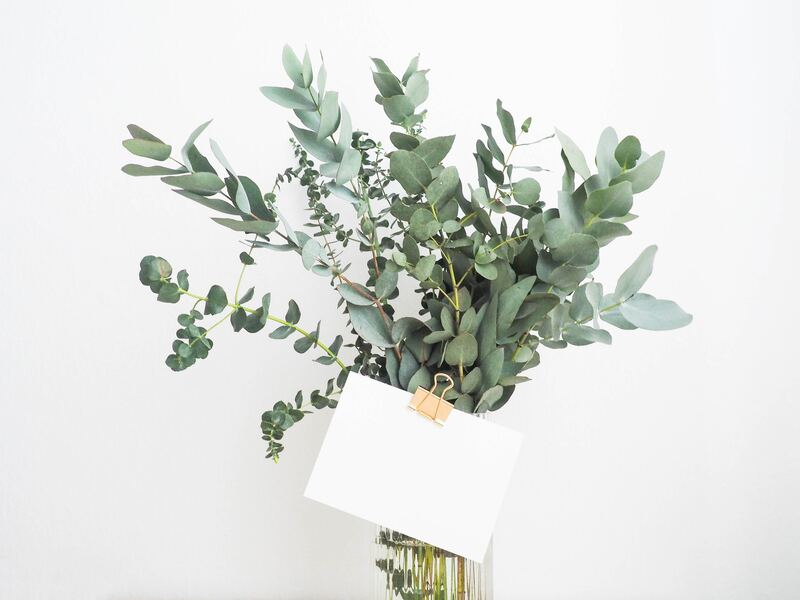 And when we’re gift-giving, here’s something else to consider: Times are changing fast and if anything, it’s becoming harder than ever to make a meaningful impression that won’t drown in our growing expectations of on-demand, instant gratification. When everyone else is zigging, wouldn’t it then make sense for you to zag to stand out? When everyone else is speeding up, you slow down. When everyone is following the herd, you carve your own path. When everyone else is going for bigger, better and fancier, you simplify and go straight for the heart strings. Gift #1: Your undivided attention. Our smartphones rule our lives. There’s no doubt about that, especially when you’re at a dinner table where no one is talking to each other and everyone seems enthralled by their glowing screens. Or when you’re out for dinner with a friend and they casually whip out their phone to respond to a text or answer a call in the middle of a conversation with you. Except that since everyone’s doing it, no one is willing to risk looking like a spoilsport by batting an eyelid when it does happen to them (and it will). Your powerful zag in situations like this? Put away your phone so it’s nowhere in sight, encourage your table companion to do the same, and give them your complete, undivided attention. Plus, constant and lingering eye contact (in a non-creepy way, of course) = good. You’ll make them feel the way most people won’t: Special. Gift #2: An offline connection. Texts and social media are fast and convenient, but they can feel cold, insincere and one-dimensional. And if this is the only way you’ve been keeping in touch, it can also create a weird disconnect between you and the person you’re communicating with. I don’t know about you, but it feels good to not have that digital wall standing between me and the person I’m trying to connect with, which is why I try to catch up with friends in person rather than online. Gift #3: A handwritten card or letter. I still remember the good old days when people kept in touch with each other by putting their thoughts, emotions, hopes and dreams down on paper and sending them off via snail mail. The anticipation of spotting the postman pull up to your driveway and watching him slip that precious envelope into your mailbox? Indescribable. And having been the lucky recipient of handwritten gifts like these recently, I’m more convinced than ever of their magic―a feeling that digital messages just somehow fail to deliver. Want to brighten up a friend’s day without going down the vanilla route of texting and dropping the occasional comment on social media? Write a heartfelt note on a card or beautiful piece of paper instead. Unlike texts, they’ll be more likely to put your card or letter away with care (I know I do) and revisit it when they think of you. If it’s been awhile since you put your thoughts down on paper for someone you care about, start with these beautifully illustrated birthday cards by Emily McDowell from Galison. I love them because they’re quirky, versatile, and deliver just the right dose of humour and heart. Think cards are boring? You’ll change your mind once you get your hands on these super-fun pop-up cards from Lovepop. To get your letter-writing juices flowing, I recommend The World Needs More Love Letters All-In-One Stationery And Envelopes by Hannah Brencher. It’s put together as a gorgeous book with pages you can tear out to write on and fold into an envelope so that all that’s left for you to do is slide your letter into your nearest mailbox and wait for it to arrive at its destination (oh, the anticipation!). And for difficult times when you struggle to say the right things, you’ll find that Dr. Kelsey Crowe’s There Is No Good Card For This: What To Say And Do When Life Is Scary, Awful and Unfair To People You Love may just be the perfect starting point for you to get your message across with kindness and empathy. Gift #4: Make a wish come true. Thinking of buying a bunch of Christmas sweaters that’ll likely end up in a pile marked ‘Salvation Army’ a year later? I beg of you, and not just for your wallet’s sake. Keep this up and you’ll eventually become that person your friends and family dread receiving a gift from. Watch out for the awkward smiles all around and you’ll know if you’re on the way there. Rather than go wide and random (read: unappreciated), choose to go narrow and specific. And by specific, I mean this: What does this person you’re thinking of really want that’s within your means to offer as a gift? Often, all it takes to find out is to listen carefully during your conversations, and if this fails to turn up clues, it never hurts to nudge them in the right direction by asking them very casually: “What are you hoping for this ______________ [insert occasion here]?”. If they do somehow develop an inkling that you might be fulfilling this wish of theirs when the time comes, no biggie―it’ll leave them with a longer-lasting glow of anticipation and excitement, so ask away! Tried some gentle nudging but still stumped for answers? Elevate your gift-giving skills with my thoughtful gift ideas for the favourite people in your life. Gift #5: A warm smile and soul-mingling hug. They say that the best things in life are free, and when it comes to this amazing but massively underrated gift, this saying couldn’t be more true. The best part about delivering a heart-melting one-two punch like this one? It makes such a huge impact that lingers without requiring any fancy wrapping paper (when done right, of course3), and can be given away all year round. What better gift could you possibly ask for over the holidays? DISCOVER THE JOYS OF LIVING A SIMPLE LIFE. Want to start simplifying your life but don’t know where to start? Get clarity and your first steps to creating a richer, uncluttered and more meaningful life with a FREE copy of The Simple Living Guide. No spam. Just helpful, good-for-you stuff. Pinky swear.